This Orlando resort is located on a secluded, private 64-acre lake, is quiet and away from it all, yet just minutes from the most popular attractions and activities in the world. Summer Bay Resort Orlando is just 6 quick miles from Walt Disney World® Resort offering complimentary scheduled transportation and within a thirty minute drive from the Universal Studios® Orlando Theme Park Complex and Sea World Parks and Entertainment®. Check out what all the rave’s about today and come and stay the Summer Bay Resort Way! Check out our Travel Auctions for Summer Bay Resort ... or Buy-It-Now with our Best Price Guarantee! This luxurious resort boasts accommodation selections for all tastes including standard rooms, premium rooms, 1 & 2 bedroom condominiums, 2 bedroom villas and spectacular vacation houses. At the heart of the resort is the world class clubhouse which features a relaxing atrium area, and a poolside tiki bar. An assortment of watersport activities such as jet skiing, water skiing, canoeing, and more can provide fun and excitement for family members of all ages. Smaller lakes are scattered through the resort as well as conveniently located swimming pools, most of which feature crystal clean hot tubs. 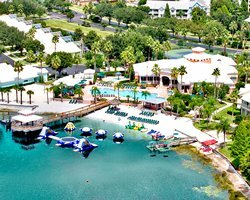 Summer Bay Resort in Orlando, Florida Near DISNEY - Buy a 7 Night Stay in a 3 Bedroom Suite for up to 12 Guests! HIGH SPEED AUCTION! - Summer Bay Resort ~ Orlando, Florida Near DISNEY - May 2019 - Bid on a 7 Night Stay in a 1 Bedroom Suite!